Other newsletters and blogs do it better. Perhaps those reasons are two sides of the same coin but the point remains. In the last few weeks, though, there have been a few things I’ve been reflecting on primarily as it relates to my career, the status of WordPress, and some of the other things that are related to all of that. And since I know I’m not the only one that works in this industry, and that sees how certain things are playing out, I thought it worth at least sharing how I see WordPress regarding some of these things. Here’s the disclaimer: This particular post is not a dramatic take on anything hot that’s happening in WordPress, so if you’re looking for some type of gossip or some firestarter, go elsewhere. For the last few weeks, I’ve been sitting on a variety of thoughts all surrounding the application and the work I’m doing. The thing is, I do enjoy working with WordPress, I don’t care much for the arguments around [any given thing] about it at this point, and whether or not I’m good enough seems to be the wrong question. This blog is an attempt to consistently share various things I’m doing, talk with others in the comments, and even share some of the things that I’ve found useful when working with more advanced tooling – that I’ll cover in a moment – regarding WordPress. On top of that, I’ve met some really incredible people that work in WordPress. And it’s not something I take for granted, but it’s also something I wonder if can be found in other segments of the industry. These aren’t necessarily reasons to keep working in part of an industry, but they are reasons to enjoy working in part of an industry. To be honest, I’m sure it’s true, but I’ve also made a lot of friends here and I get to work with some really smart people both on a team and as clients. And that’s not to be ignored. As I’ve said, I usually don’t blog about this kind of stuff; I felt like it was worth sharing my thoughts and opinions on this if for no other reason than to give my perspective. We all have them. I’m not claiming mine is right or that anyone else’s is wrong. But it at least provides an idea as to how I see WordPress regarding some of the things we all seem to be reading about, right? When I initially started working as a developer, I was working in .NET on a team doing enterprise-level software. It was a lot of fun, the challenges were great, and it was a good job. I knew, though, that I eventually wanted to work for myself. I didn’t really have a plan for how that would shake out, but I knew I wanted to build custom software for others on a contract basis for small-to-mid-size companies. So when I made the initial jump, I was doing Rails and a little bit of WordPress. But when I say “WordPress,” I generally mean a few PHP customizations here and there, and troubleshooting server-related issues. Over time, though, the demand for WordPress-related work got larger and I began to see the potential it had as a way to serve a particular market all the while enjoying the work I do. So I folded the Rails work I was doing and focused much more on WordPress Some of you reading this may remember some of the stuff friends and I did before Pressware. I had a lot of fun working with the team who built this theme. As things change though, I began to really enjoy applying software engineering techniques in the context of WordPress to build custom plugins and other solutions on top of WordPress for others. This isn’t to say that there aren’t the occasional smaller jobs that I don’t take on now, but I tend to favor build PHP-based applications (with additional tooling) than anything else. And I’ll talk more about this later. In the last few years, there’s been some talk at WordCamp US and other interviews about WordPress an operating system for the web and WordPress as an application foundation. 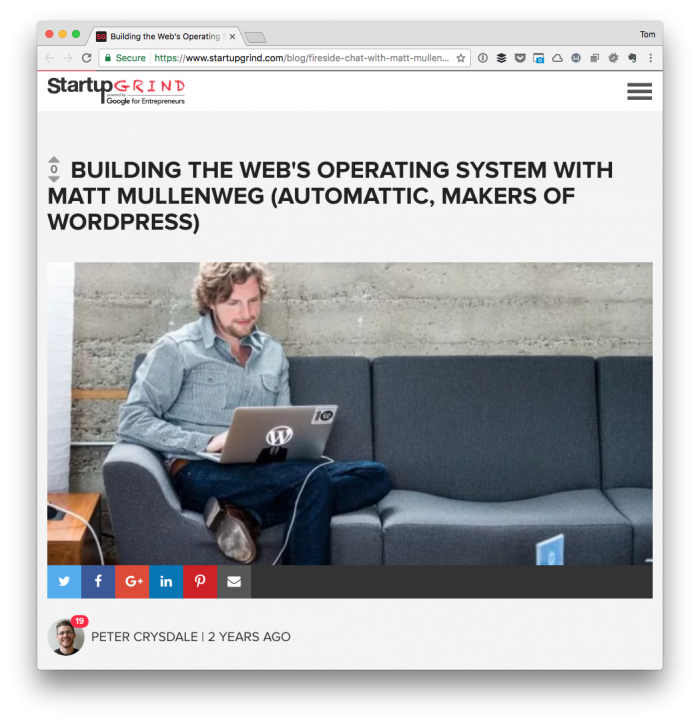 When it comes to viewing WordPress as an operating system for the web, I don’t have much of an opinion one way or the other. The web is powered by a lot of different technologies – some new, some old, some emerging, some dying. That seems to be the nature of the Internet as a whole. I’ve written a few pieces on why I view WordPress as an application foundation (1, 2, 3) and this is naturally my perspective. Don’t miss this: This is in no way disparaging anything that anyone has said at any WordCamp, in another interview, or in any blog post. I’m only sharing what we’ve all heard and giving my take on it. 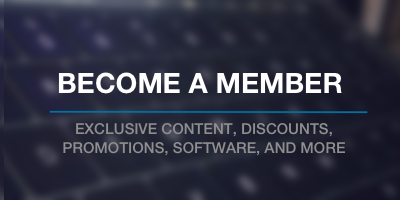 Do I go around describing WordPress as such to other people? No. In fact, I rarely talk about WordPress outside of the usual suspects on Twitter, some of my peers, and those who know what I do for a living. The truth is, the majority of people still view WordPress as a blogging platform. And I don’t blame them. This has to do with over a decades worth of presenting it as such, the focus on the end user (versus developers), the branding, and what the software is capable of. And all of that is okay. Those of us who know what we can do with it and what it’s capable don’t need to evangelize or prove to anyone what it can do, what it’s can’t do, what it is, what it isn’t, why it should be one way, or why it’s not another. In short, if someone comes with you to a problem to solve and they want it on WordPress, great! 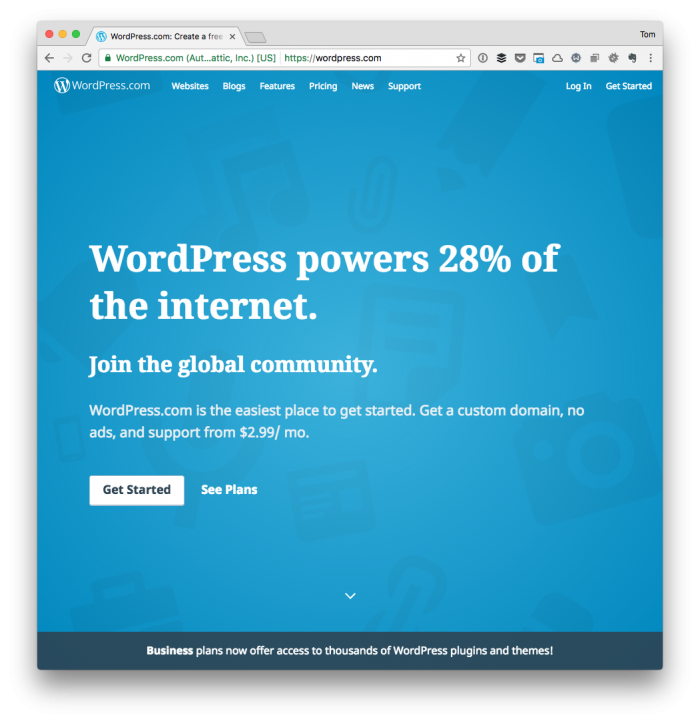 If they don’t have a stake in the technology stack that’s used, maybe WordPress is a good option for you to do use. But whatever the case, the language around it is a bit like inside baseball. And I’ve found it helpful to remembr that and to treat it as such. I’m not re-hashing it here nor am I chiming in on what I think it should do because it makes no difference to me. And it doesn’t make a difference for a number of reasons. There are some libraries already bundled with core. These include jQuery and Backbone. Does this mean that we have to use those in our work strictly? Absolutely not. Thus, whatever is chosen to go into core does not exclude us from using other tools that we like to use. If you want to use Vue.js for a project, then go for it. I understand the arguments about using a library backed by a large company versus that of an independent developer. But it’s not something that I’m particularly interested in entertaining as a point of discussion (or spending that much time thinking about, either). Furthermore, whatever is chosen is what’s going to be used for further development of WordPress core. This doesn’t mean that, as previously mentioned, we are having something shoved in our faces and being told you are going to use this and you are going to like it. I don’t see it having a significant impact on my day-to-day work. If React gets folded in, okay neat; if Vue.js gets folded in, all right. Neat. Perhaps one point to consider is that there are parts of WordPress – and quite a few – that are included for a number of reasons. Take Backbone for example. Many people would love to see it removed. But it’s not that simple because other components are built on it. And because WordPress is a legacy application that’s also moving forward all the while committed to backward compatibility, it can’t simply yank things out, shout “tough luck!” and move forward. For me, the bottom line is that we can’t simultaneously brag that we’re using a platform powering roughly a quarter of the web all the while complaining about some of the older technologies that are part of the core application. I don’t believe that it’d have the reach that it does were it not using some of the internals that it has. This doesn’t necessarily mean I want them to stay in there forever. But this also doesn’t mean I want things yanked out as soon as the next thing comes along. There has to be thoughtful balance brought to maintaining an application of this scale. And, again, if you’re building things on top of WordPress, you’re still have the ability to bring in the tools that you enjoy using. And for those who feel as if this is the first time this has come up, it’s not true. Before this is was the REST API, before that it was the Customizer, and before that, it was features like Custom Headers. There will always be something. Though for many, WordPress is usually a matter of getting a domain, a host, uploading files via FTP, and writing, it can be far more advanced than that. Not for a blogger or the average consumer, of course. But for developers. 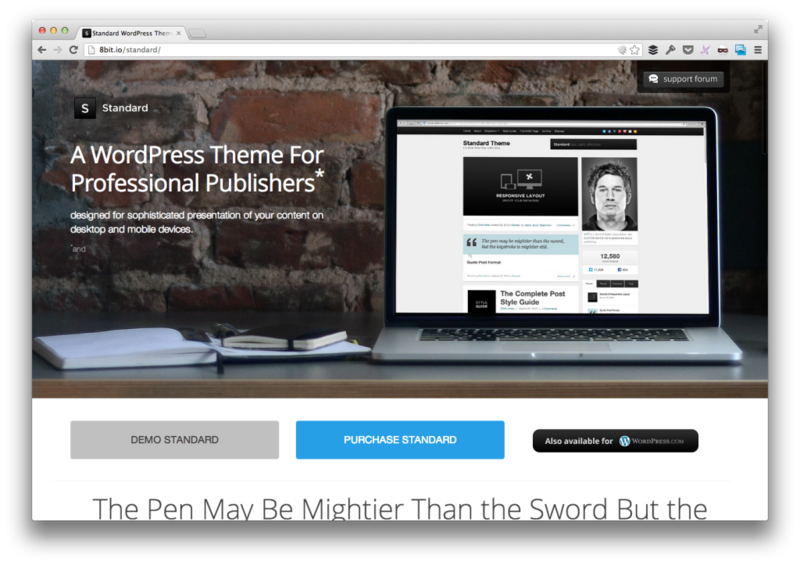 I wish I knew half as much as some of my friends who are doing amazing things with WordPress. That doesn’t stop me from actually wanting to pursue knowledge in those areas, though. And, at the risk of digressing, I simply pick an area on which I would like to concentrate, and I build then into my next project in hopes of getting better at it. Repeat this a few times and you get really good at things. The thing is, a lot of this is stuff that’s used in other areas of our industry with other languages and technologies. Good software can be written on top of WordPress but it takes time to get to the point where the necessary tools are implemented. I’ve learned from experience that it’s best to keep comments closed on pieces like this. First, the purpose of the post isn’t to spur any type of discussion. It’s more of a piece on my perspective from where I sit in working with WordPress. Secondly, I’m completely down for talking about this stuff on Twitter. So if you feel so inclined, shoot me a tweet (or maybe even share the post). And finally, I simply appreciate you taking the time to read this far. It’s a far longer post than I typically write and it has nothing to do with code, development, or how to achieve something in WordPress. Every now and then, though, I think it’s worth publicly sharing thoughts on the given state of things in WordPress. So this is mine. Maybe I’ll do another one in a couple of years.